WASHINGTON (CNN) - After months of speculation, President Donald Trump has announced that he will nominate CIA director Mike Pompeo to replace Rex Tillerson as his new secretary of state. Trump praised Pompeo on Tuesday saying he was "always on the same wavelength" -- something that he could not say for his now former chief diplomat Tillerson. "I have worked with Mike Pompeo for quite some time, tremendous energy, tremendous intellect," Trump told reporters. "We are always on the same wavelength. The relationship has always been good and that is what I need as secretary of state." Pompeo, a former Republican congressman from Kansas, has grown increasingly close to the President -- a bond largely formed during the President's free-wheeling daily intelligence briefings, which one White House official previously told CNN that Pompeo delivers in person three to four times a week. After the briefings, Trump frequently asks Pompeo -- who graduated first in his class at the US Military Academy at West Point and went on to Harvard Law School -- to stick around to continue chatting one-on-one, the official said in November as initial rumors that Tillerson could be on the way out began to swirl. In January, Pompeo praised Trump's ability to digest intelligence as it is presented to him. "I have seen 25-year intelligence professionals receive briefings. I would tell you that President Trump is the kind of recipient of our information at the same level that they are," Pompeo said during an event at the American Enterprise Institute. "Things move awfully fast. He has the grounding for him to be able to grasp this information in a way that he can ask sophisticated questions that then lead to important policy discussions," Pompeo added. He also defended Trump's mental abilities earlier this year in the wake of claims made by Michael Wolff in his book, "Fire and Fury: Inside the Trump White House," that Trump does not read or properly process information presented to him. "Those statements are just absurd," Pompeo said at the time. When he delivers information to Trump almost daily, the President engages with it and is an "avid consumer" of the CIA's work, Pompeo said. "I have every expectation that they will continue to try and do that, but I'm confident that America will be able to have a free and fair election [and] that we will push back in a way that is sufficiently robust that the impact they have on our election won't be great," Pompeo told the BBC earlier this year. Trump has cast doubt on accusations of Russian meddling. He has questioned whether the Russians were responsible for hacking the Democratic National Committee, and he has called the entire "Russia story" a hoax perpetuated by angry Democrats. He even convinced Pompeo to personally meet with a conspiracy theorist who denies that Russia hacked the DNC. In Congress, Pompeo built a reputation as a conservative stalwart on national security issues. In particular, he was known as a hardliner on the Select Committee on Benghazi, a panel that he felt was not hard enough on Hillary Clinton in their investigation into the actions of the State Department she then headed in response to attacks that resulted in the death of four Americans in Libya in 2012. He co-authored a lengthy addendum to the committee's findings in which he blasted Clinton for "a tragic failure of leadership" and accused the Obama administration of trying to cover up the true nature of the Benghazi attack. 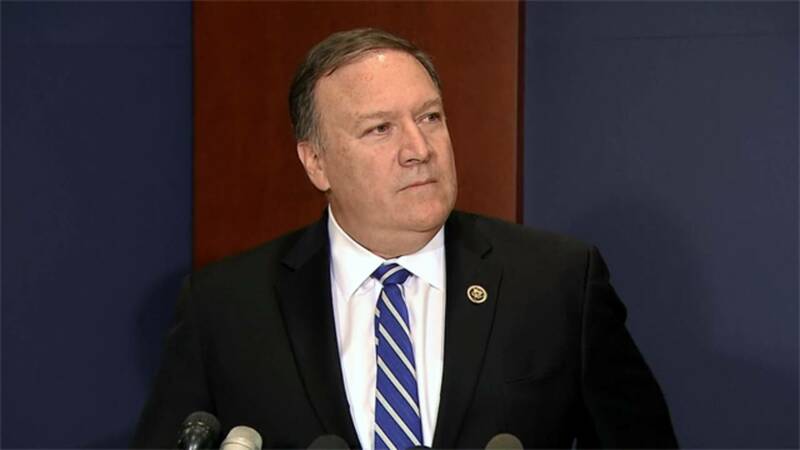 When Trump publicly announced Pompeo as his choice for CIA director, the congressman received some praise from Democrats, including Rep. Adam Schiff, the top Democrat on the House Intelligence Committee, who said Pompeo is "someone who is willing to listen and engage, both key qualities in a CIA director."